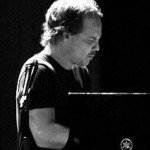 Steve has been teaching Contemporary Improvisation as well as jazz piano at York University since 2003. In addition to teaching at York University, Steve has also conducted educational master classes in China, Japan, Colombia, Mexico, Barbados and Bahamas. In 1993 the Steve Koven Trio was established and have since toured extensively around the world and have released nine CDs.